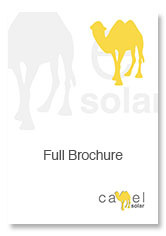 What has a Camel got to do with Solar energy…we are frequently asked? “THE SHIPS OF THE DESERT”, Camels can go many days without water and are adapted well to living in arid climates, one of the many features that makes them one of the most unusual, yet highly efficient animals on our planet. 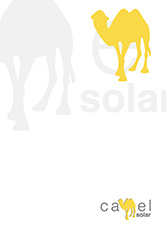 The Bactrian camel (two humps) used in the Camel Solar logo comes from the Bactria, Sogdia and the Gobi desert regions. The two humps and its longer hair increase the insulation on the camel’s back, preventing heat loss during the cold winter months. Larger and heavier than a dromedary camel (single hump), the Bactrian camel is able to carry heavier weight and strong enough for ploughing for the production of crops. Camels also produce milk, clothing from their wool and can also be used for meat. The camel’s thick coat allows the sun to be reflected during the day and insulates well at night. Their immune system is very efficient, the kidneys and intestines are very resourceful in conserving water. Their urine is thick and syrup-like due to the low water content and their dung is very dry preventing loss of water. The dung can be used for crop fertilizer and building fires for cooking. The camel’s nose traps the moisture in the camel’s breath and absorbs it through nasal membranes. 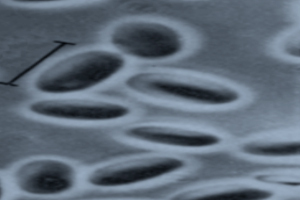 Tiny blood vessels in those membranes take the moisture back into the camel’s blood. Camels are able to take on 100 to 150 litres of water at any one time which is then processed in a highly efficient way. The camel is able to process the water swiftly and after just 5-10 minutes of the water being consumed, there is no water left in the stomach, as it’s already been absorbed by the red blood cells. Camel’s blood can lose up to 40% of its water content and still be able to function due to its ability to cope with high variations in osmotic pressure. The camel’s cells are elongated so they are still able to flow through the veins even when water level is at its minimum. 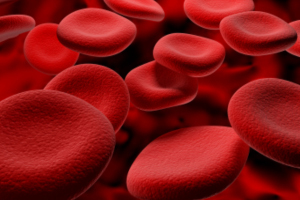 In comparison if a human loses around 10-12% of water in the blood that person could either be very ill or die of dehydration. Camels can not only survive the rise and fall of water levels, but also can withstand huge changes in body temperature. The camels body temperature ranges from 32-36 °C at night and 38-42 °C during the day. The camel only starts to sweat at the upper end of the temperature scale. It is adapted to sweat at the skin preventing its coat from becoming wet thus allowing more efficient cooling and reduced water evaporation. At Camel Solar our aim is to replicate this natural efficiency by producing Solar thermal collectors which have the highest long term coefficient of efficiency, harnessing the maximum amount of energy available from the sun, reducing operational energy costs. Sunlight is by far the largest carbon-free energy source on the planet. Harnessing solar radiation will not only provide cost-effective, self-sufficient energy but will also significantly reduce CO2 emissions which are destroying the planet. The ability of the home and work space to reduce harmful emissions whilst keeping up-to-date with the demands of technology is crucial in the modern world.